The Canada Goose, also known by its scientific name Branta canadensis is a large wild goose bird, easily identifiable by its striking visual features – long black neck, black feet and bill, plumage of grey or brown feathers, and distinctive white cheek patches around the chin. The species normally reside in open-spaced grassy areas near water bodies, such as lakes, rivers or marshes, but they also adapt well to purpose-built aquatic sources. With the establishment of large verdant vicinities as part of urban and suburban setting Branta canadensis have found suitable environments – they readily colonise golf courses, residential areas and parks and develop them as their habitats. Not typically seen as a pest hazard, the Canada goose can nevertheless present risks both for public health and the environment. The reasons for this are manifold. 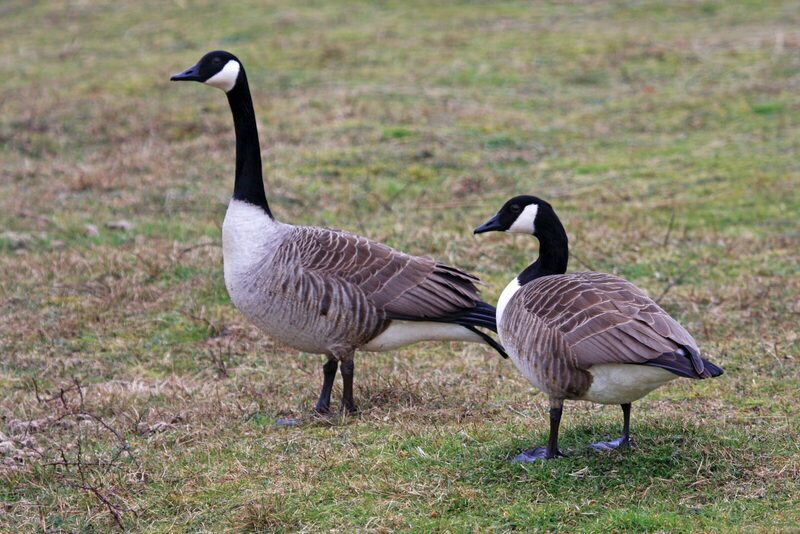 Attracted by the well-maintained areas, these geese feed avidly on their preferred fare of grass, roots and leaves. The fresh trimmed lawns provide endless possibilities for foraging. As a result the bird population feeds frequently and plentifully and grows exponentially. So does the production of feathers and excrement. The goose droppings are unsightly, but more importantly, apart from the aesthetic concerns, they constitute a serious sanitary problem. They present a health risk – the birds are carriers of parasites, bacteria, viruses and fungus, all of which can be transmitted to humans. The pathogens can easily contaminate both the soil and the water source, and get into the food chain, thus increasing the potential of harmful exposure for people and animals. The droppings can form a slippery layer, making the terrain unsuitable for walking and creating a considerable fall risk. 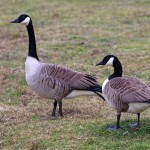 Another category of danger is related to the Canadian goose behaviour. Once they create their nests close to the water and foliage, the geese will become territorial and establish a pattern of watchful guarding of their space. They can display and use aggression and are known to attack humans, particularly in periods of nesting. They employ the strength of their bills and wings, creating a strong possibility of a physical injury. The physical presence of large bird population can be harmful for agricultural areas. The constant grazing and stamping of the grass can damage the crops and erode the riverbanks, consequently compromising the flood defences. The birds can cause breakages of equipment and machinery, as well as faults in ventilation systems. 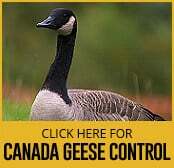 Branta canadensis have also been implicated in risks for vehicles and aircrafts. Removal of the Canada goose and limiting of the risk they cause is a highly specialised area of pest control and expertise. Approaching the problem without caution and knowledge can lead to health risks, damage or loss of property. Control methods are complex and require an in-depth assessment of the landscape, the particular details of the areas, the geese population, as well as knowledge of their habits. Only then can the professionals decide on the suitable methods and techniques for pest control to be applied in view of the particular situation and best practice in the field.